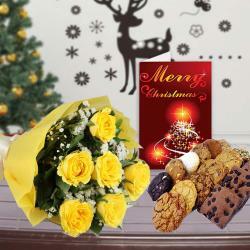 Product Consists : Glass Vase of 12 Mix Roses, Cadbury Celebration Chocolate Box (Weight : 118 gms) along with Christmas Greeting Card. 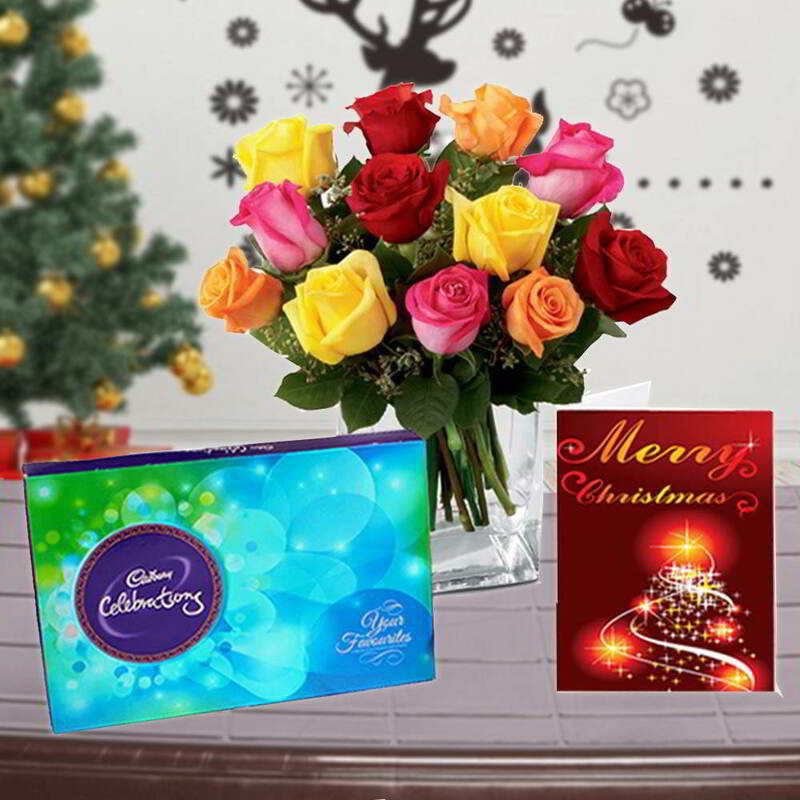 If you are looking for a delightful Christmas gift, we let you take a pick on the best one, comprising of a bunch of mix roses in a glass vase along with Cadbury celebrations chocolate and Christmas greeting card. 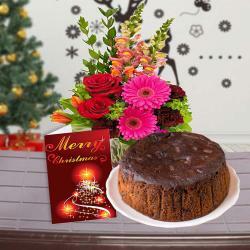 Cadbury chocolates are meant just to melt hearts topping which, the fabulous greeting Card for Christmas will deliver your emotions straight to your loved ones heart. 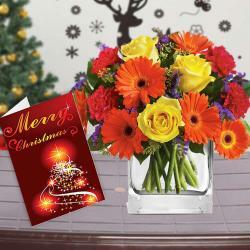 It is truly the best gift for Christmas. 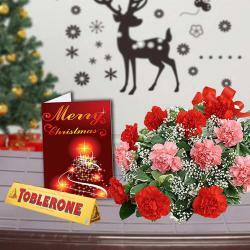 Product Consists : Glass Vase of 12 Mix Roses, Cadbury Celebration Chocolate Box (Weight : 118 gms) along with Christmas Greeting Card.